If I have seen further than others, it is by standing on upon the shoulders of giants. 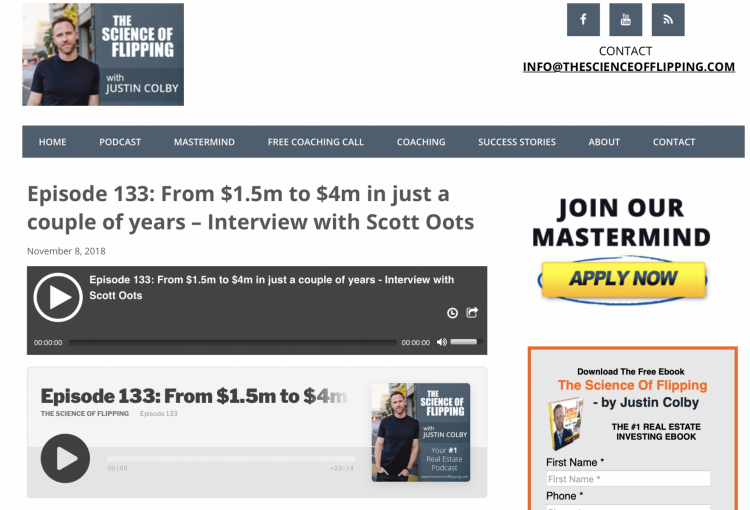 Here’s what he understood when he said that: wildly successful people are a result of the people that they’ve learned from – the people who’ve mentored them. And that truth is just as evident today as it was in 1675. 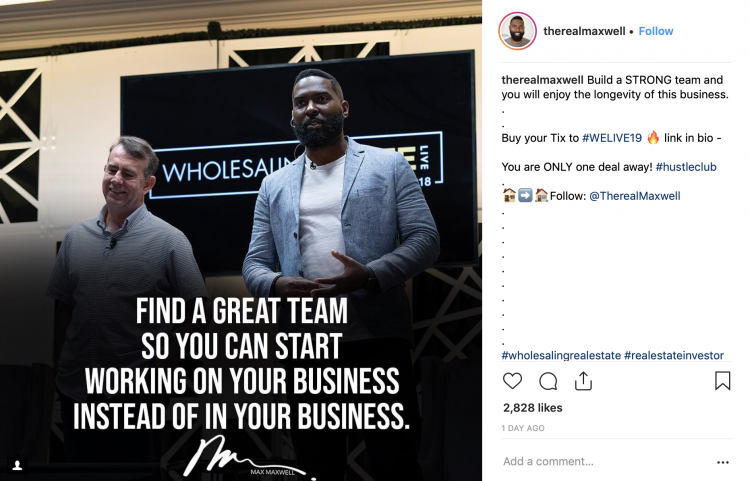 Except, today it is far easier to learn from those people that can help you build a real estate business from scratch, hire the right people, or even scale your business to over $1 million in revenue per year. But finding those teachers can be tricky. 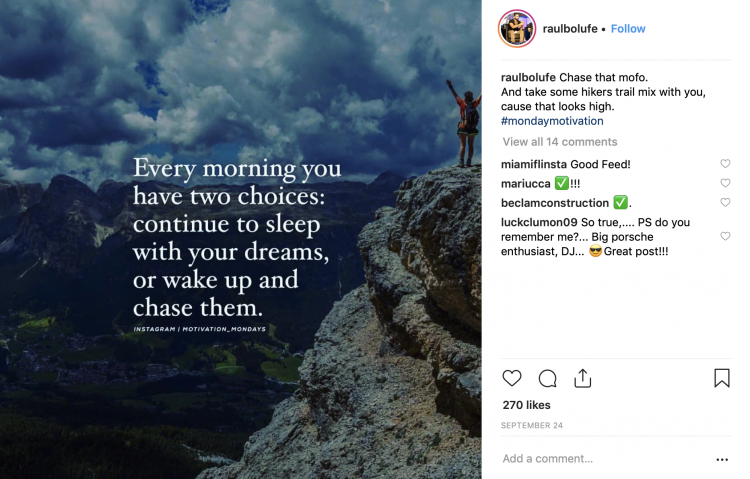 Which is why we’ve put together this list of high-performing real estate investors who share their secrets all the time on social media. 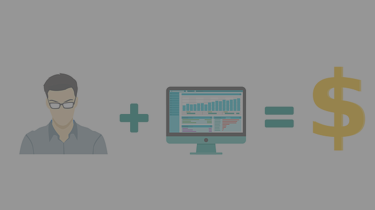 Under each, we’ve included links to their social media profiles and samples of the kind of content they post. 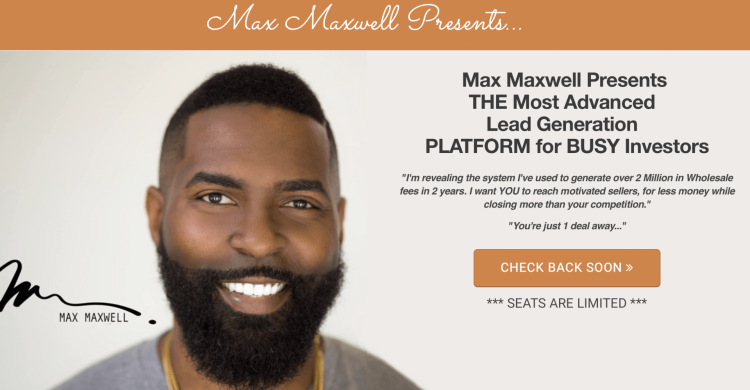 Max Maxwell is an expert in real estate wholesaling – having generated over $2 million in wholesaling fees in just 2 years. He’s also an advocate and educator for entrepreneurs and the leader of the annual Wholesaling Elite Live event. 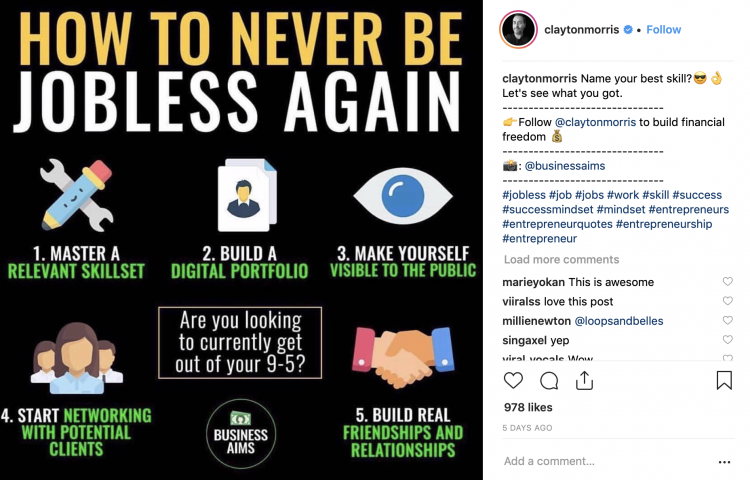 On Instagram, he shares lots of general entrepreneurial tips. 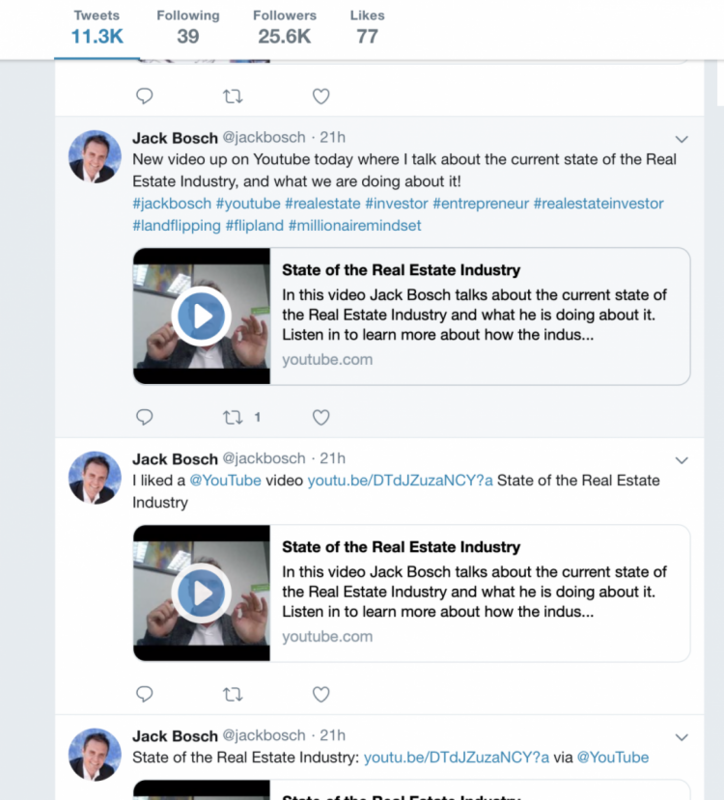 And on his YouTube channel, he shares nitty-gritty, on-the-scene content about how to wholesale real estate. 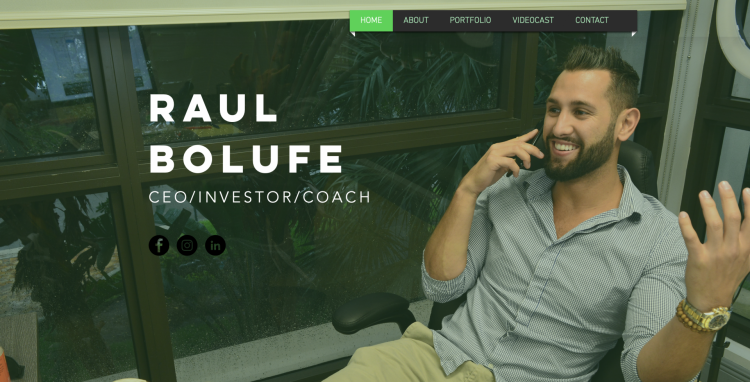 Raul Bolufe is a man who experienced massive success his first year wholesaling real estate. 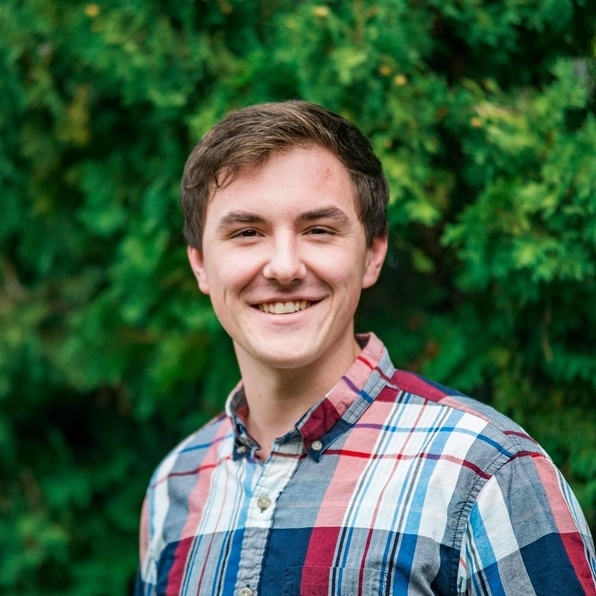 Since 2014, he’s profited from over 200 deals and he now has a team of 7 people and 3 agents who’re helping him grow his business. 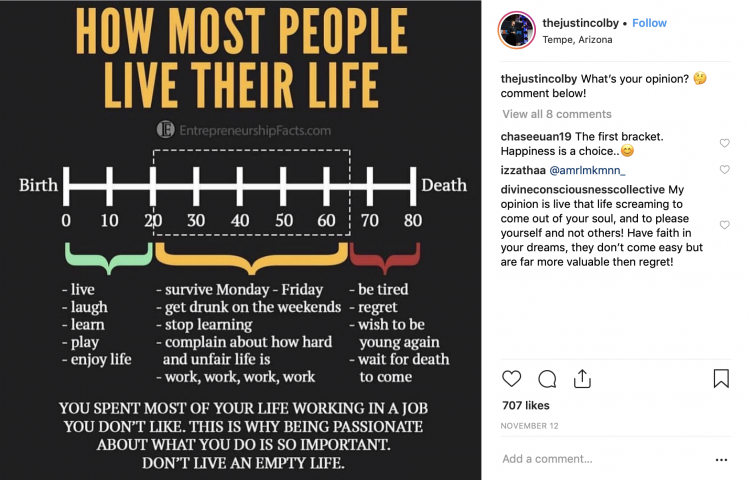 On his Instagram account, he posts pictures of his world-travels and general advice for entrepreneurs. And on YouTube, he shares how-to advice for wholesalers. 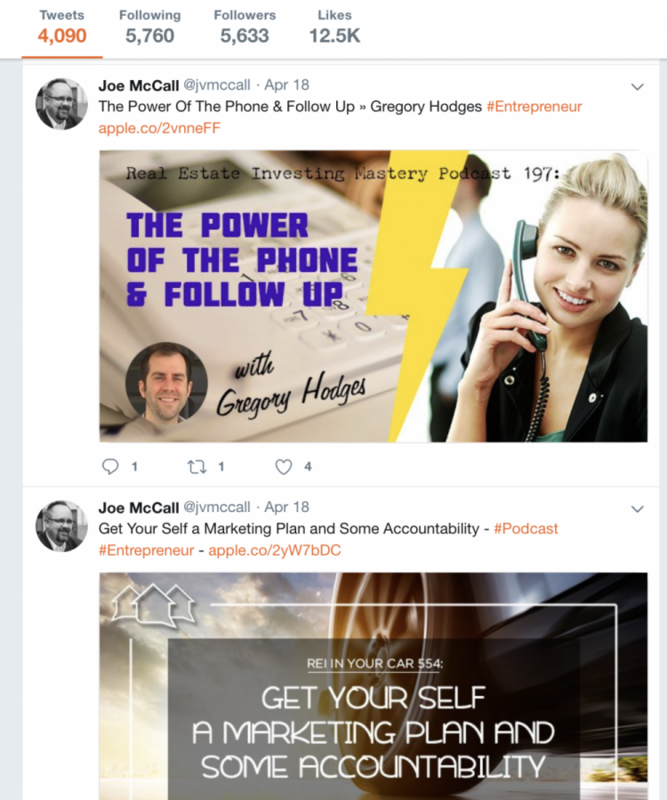 The host of Real Estate Investing Mastery Podcast – with over 600 episodes – Joe McCall is a real estate investor and passionate educator. 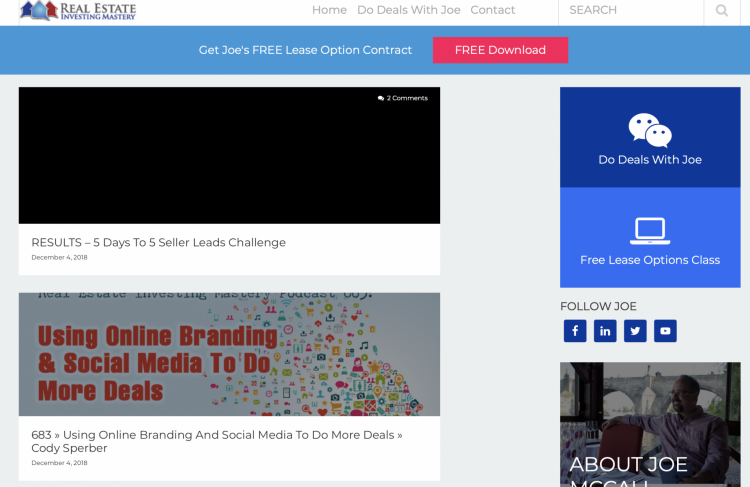 Teaching people how to “escape their 9-5 and transition to a successful automated real estate business,” Joe shares practical how-to content on YouTube and Twitter. 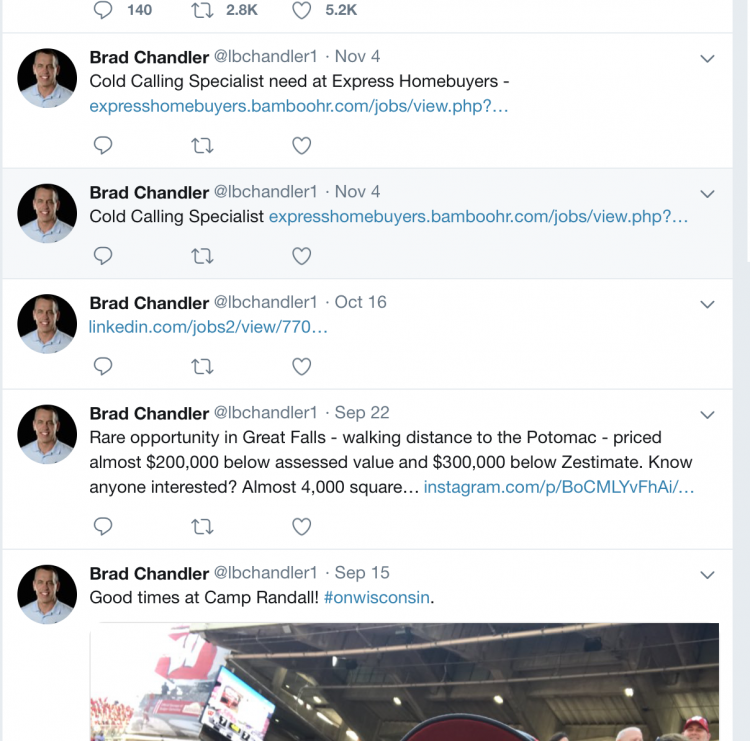 Brad Chandler has been involved in more than 5,000 real estate transactions and he’s now a passionate coach who helps like-minded entrepreneurs reach their goals. 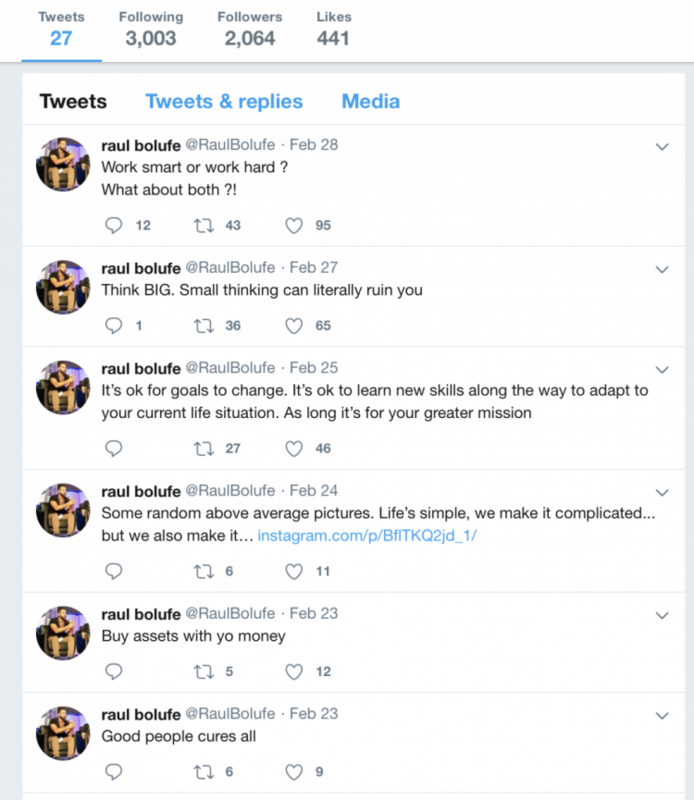 On his Twitter and Facebook profiles, he posts newsworthy real estate updates, practical advice for wholesalers, and inspirational quotes. John Martinez has a massive amount of experience as a real estate investor and even more experience as a salesperson. 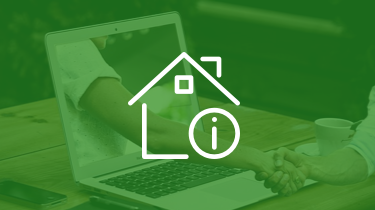 He helps real estate investors like yourself convert more motivated sellers and close more qualified leads by leveraging science-backed sales tactics. He posts free practical advice on his YouTube channel. 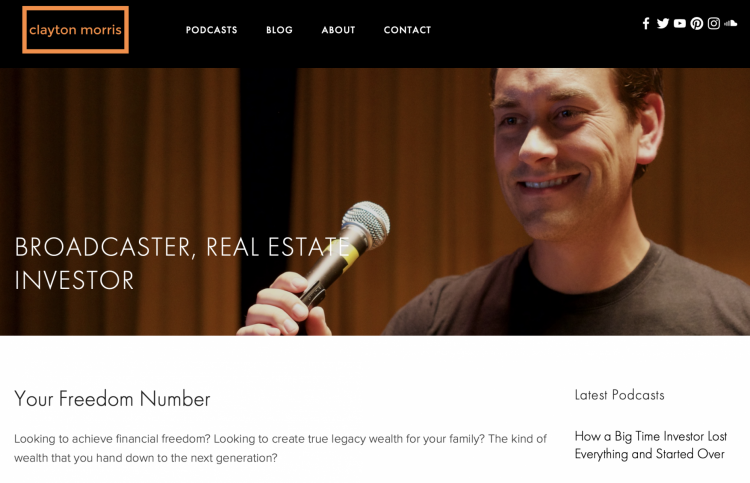 Justin Colby is an author, real estate investor, and mentor. 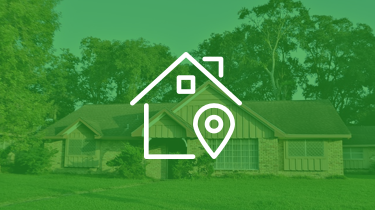 An expert at flipping homes, he focuses much of his real estate advice on how to “find, fund, and flip” profitable real estate deals. 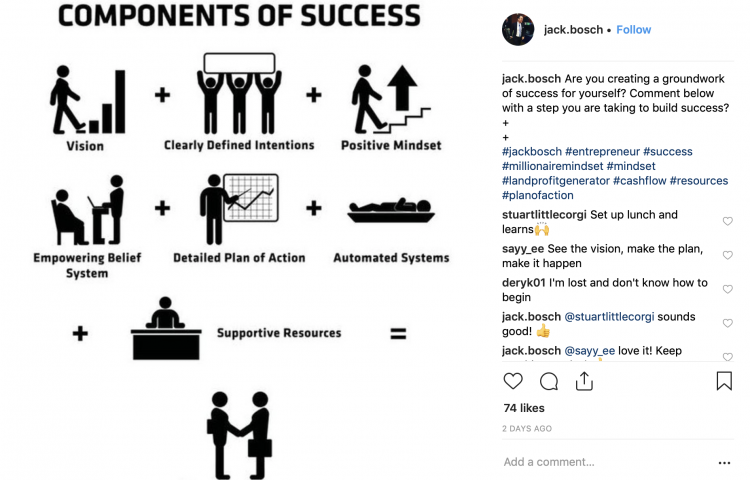 He regularly posts free content on his social media channels about entrepreneurship, real estate investing, and mindset adjustment. 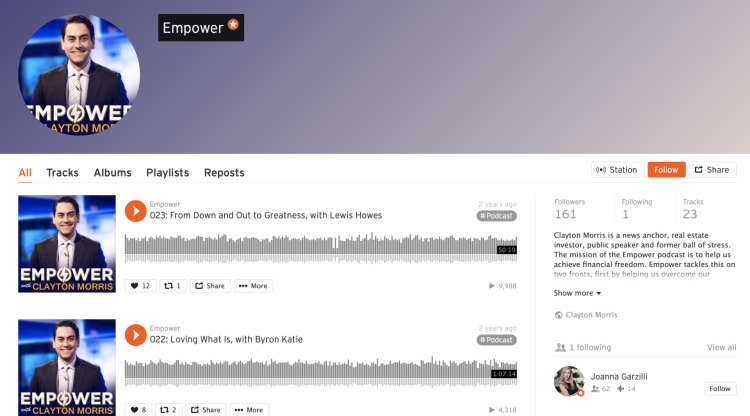 The creator of the wonderfully titled Lazy Girl REI curriculum, April Crossley is an expert real estate investor who helps other investors be more productive with their time and money, land more profitable deals, and scale their businesses. She makes use of white-board style videos on YouTube and inspirational quotes and how-to tips on Instagram. 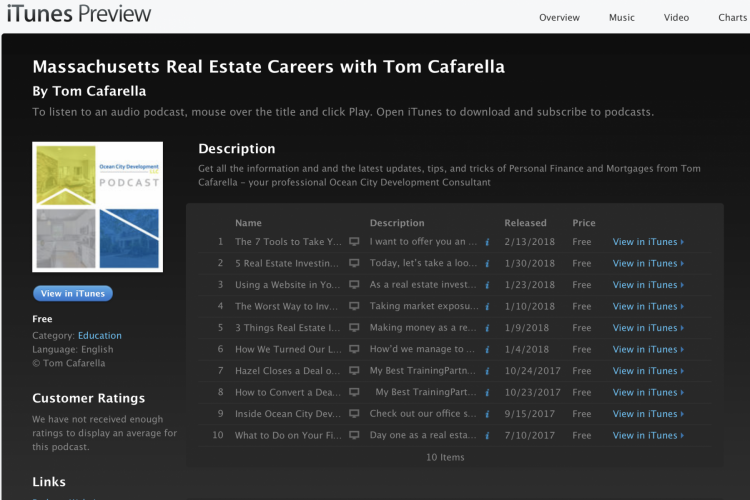 Tom Cafarella is one of the most successful real estate investors in Boston, Massachusetts. 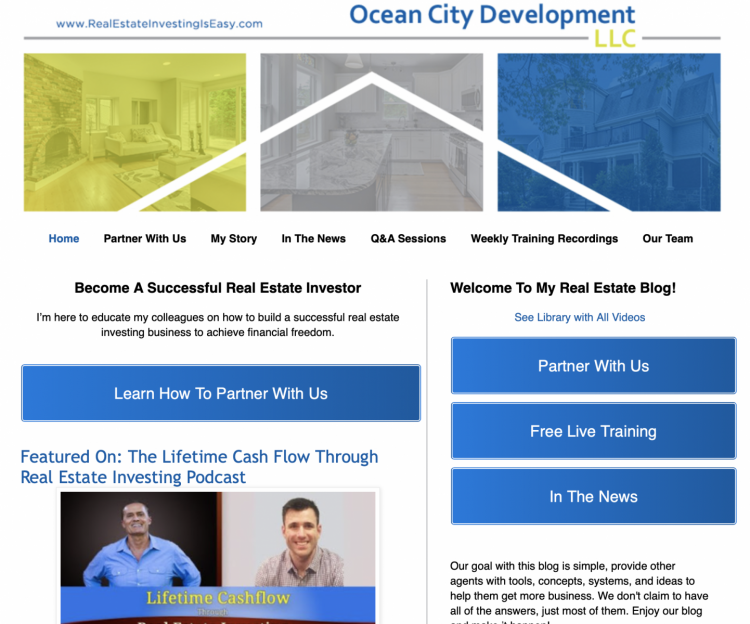 An expert at building and scaling real estate businesses, he now teaches other investors how to do more deals, scale ROI, and shift their mindset. He regularly shares helpful and practical tips on his YouTube channel, Facebook page, Twitter feed, and podcast. 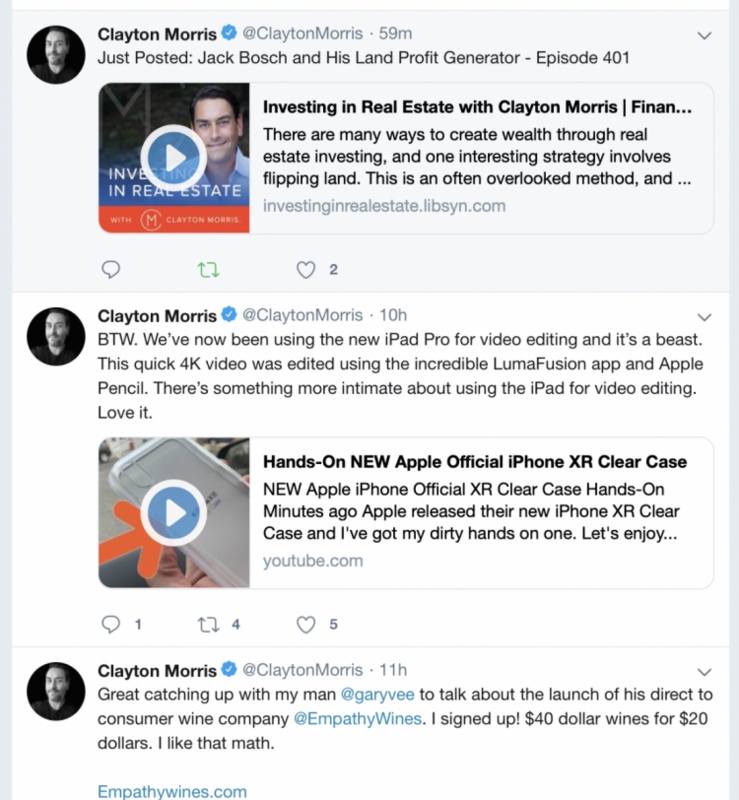 Formerly a Fox News anchor, Clayton Morris shifted his attention to real estate investing and built a new – more financially predictable and personally free – life for him and his family. 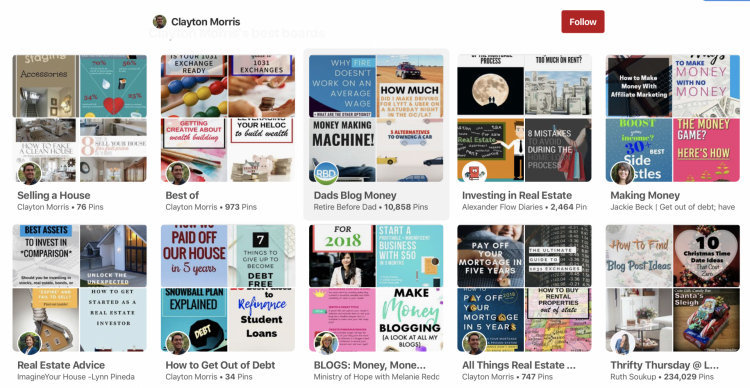 Today, he helps others do the same by offering up free how-to content on Twitter, YouTube, Pinterest, Instagram, and Soundcloud. 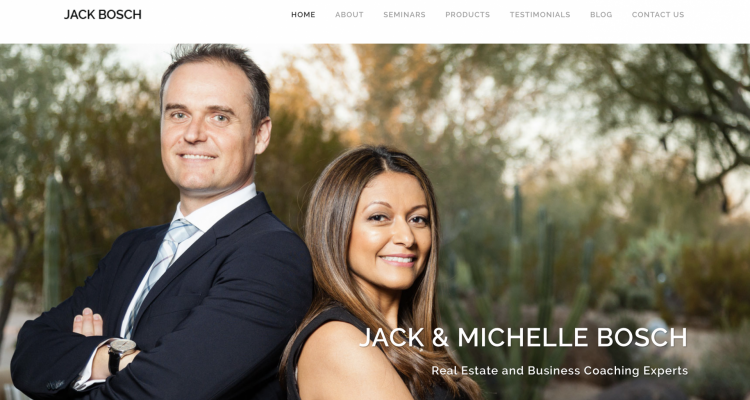 Jack Bosch is an expert at land investing specifically and real estate investing holistically. 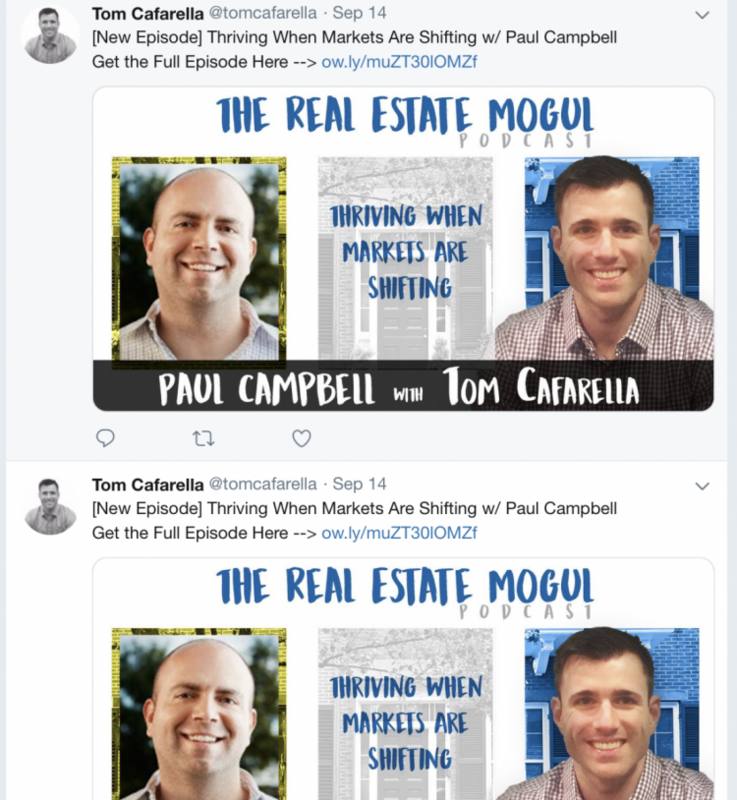 A best-selling author and passionate educator, he consistently teaches other real estate investors how to build businesses that pay them what they deserve. His most active online channels are Instagram, Facebook, Twitter, and YouTube. Hey and Thank you Tom Cafarella. Good to see another Boston guy at the top.